If you want to buy land but don’t quite know how to afford it, you’re not alone. A growing number of Americans are finding themselves squeezed much tighter financially than their parents were, making it difficult to ever climb onto the first rung of the land ownership ladder. It seems like wages are lower and the cost of living is higher for a lot of people, and in many cases, getting a better job isn’t a viable option. So what’s a body to do? We say, get creative. Where there’s a will, there’s a way, and land ownership is definitely worth it. Here are a few of the creative strategies we’d suggest for you to boost your savings account up to afford that down payment. 1. Buy owner financed land. When you buy owner financed land, you don’t have to get approved for that bank loan that seems ever-more unattainable every day. 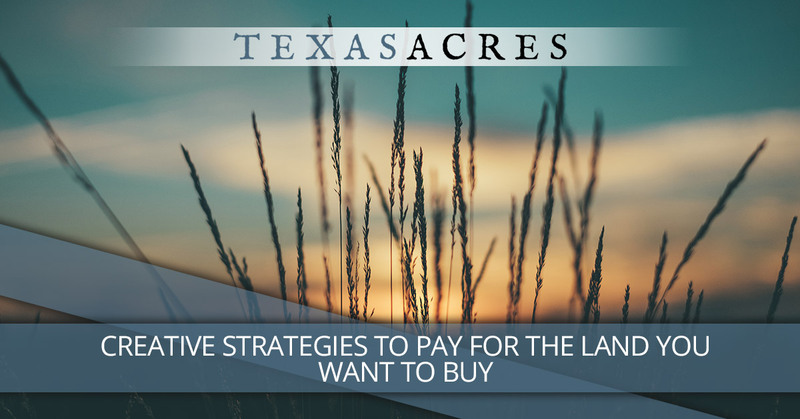 Instead, you’ll make monthly payments to the seller until the land is paid off. So, instead of paying a bank, you are paying the seller directly. You still own the land just like you would if you borrowed from a bank, but sellers will often accept a much smaller down payment and even lower credit scores. Additionally, there is less red tape and lower fess than with a bank mortgage. Learn more about owner financing and check out our owner financed properties today. If you have an asset that’s worth a lot of money, like a boat or a valuable coin collection, sell it and get your land. However, if you’re reading this article, you probably don’t have a juicy asset sitting around as a source of ready money. You can still sell something. There are two main options: make something, or sell someone else’s product. If you make something (birdhouses, a software app, breakfast burritos, etc), you get all the profit, but you also have to invest the time in making it. If you sell someone else’s product, you don’t have to invest time in making it, and you typically get a percentage of every product you sell. Sales is hard work, but it’s ultimately a great skill that can help you get ahead in life financially. While it might be difficult to get people on board for your Kickstarter or Gofundme campaign if they know it’s for you to buy land, try this instead: hold a fundraiser. There’s absolutely nothing wrong with running a fundraiser, and it can be extremely effective. When nonprofit organizations need to raise a bunch of money, what do they do? When adoptive parents need to raise funds for their adoption fees, how do they do it? There are a ton of blogs and ideas online for how a beginner can conduct and run an effective fundraiser. It takes a lot of grit, courage, and tenacity to save money when you’re not rolling in it. It takes a lot of optimism, strength of mind, and moxie to keep trudging forward, even when you feel like you’re making slow progress. You have it in you! The results will be worth it, and you’ll look back on the exertion and effort in the season of saving money and sigh with relief that you didn’t give up. For acreage in Texas, we are here for you all the way. Contact us to inquire about a property or start the buying process.